In 2014, Cambridge researchers monitored a series of seismic shocks which preceded Iceland’s biggest volcanic eruption in 200 years. The dramatic story of their work, and its scientific value, is now part of this year’s Royal Society Summer Science Exhibition. The eruption formed a curtain of fire the height of Big Ben. 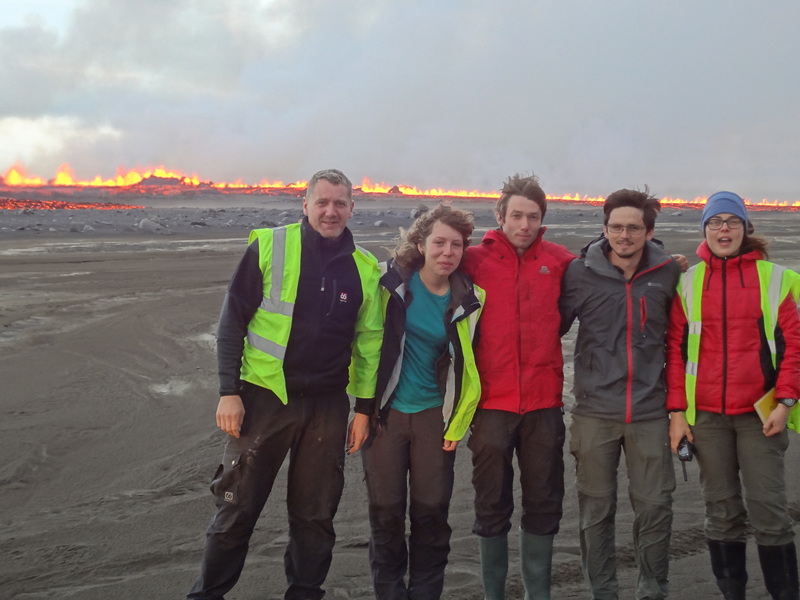 Faced with the prospect of an imminent volcanic eruption, most people would head for safety, but for one group of Cambridge research students, the aim is to get as close as they realistically can. That opportunity suddenly presented itself when, on the night of August 28, 2014, members of the University’s Volcano Seismology group were shaken awake by a series of low-magnitude earthquakes. 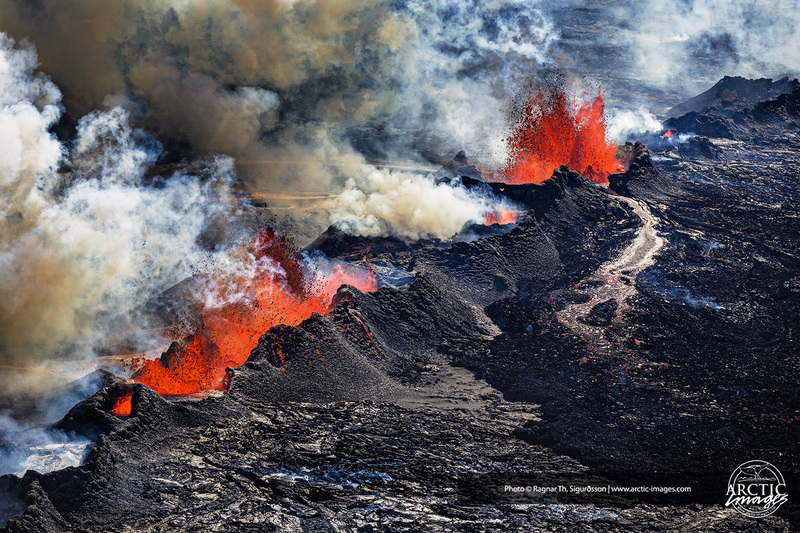 The tremors were being caused by the movement of an underground channel of molten rock which they had been tracking for 10 days as it forced its way north-east from the Barðarbunga volcano in central Iceland. The group’s work involves measuring and studying such seismic events, which warn that a volcanic eruption may be about to take place. As it became clear that this was now imminent, the team hastily finished deploying field instruments around the tip of the area where they knew the channel was flowing. 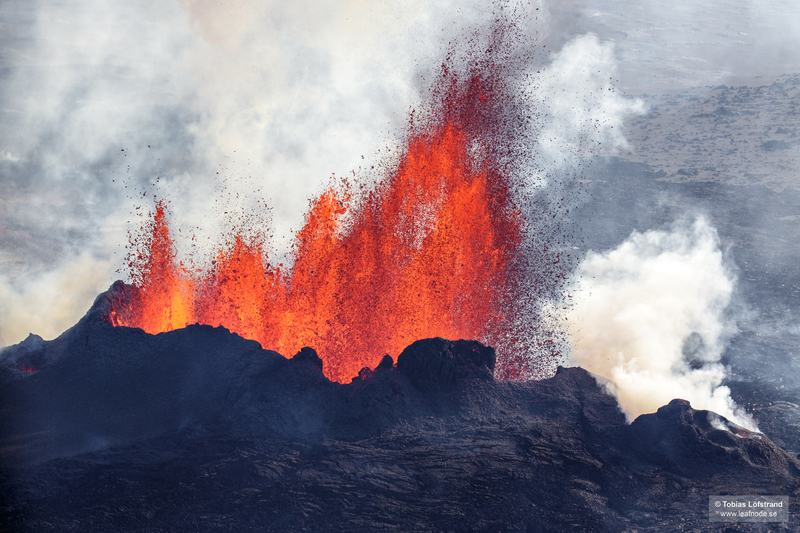 Just hours later, it ruptured the Earth’s surface, disgorging huge fountains of magma that reached up to 150 metres high, announcing the start of Iceland’s biggest volcanic event for 200 years. The story of the group’s dramatic fieldwork – and why it matters – is now the subject of a display at this year’s Royal Society Summer Science Exhibition, which will be taking place in London from 4-10 July 2016. 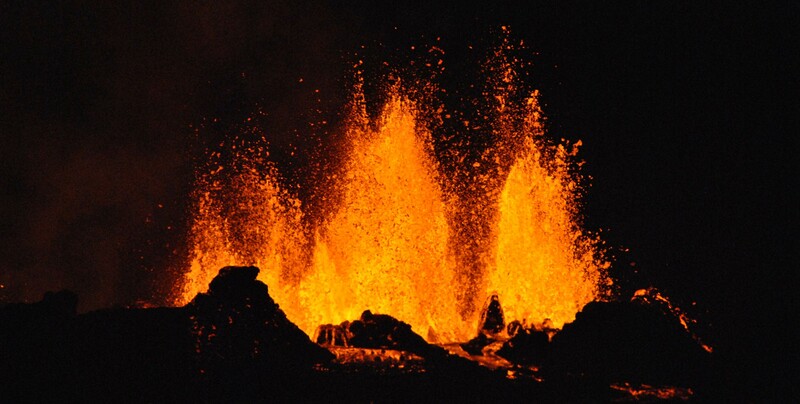 During the build-up to the eruption, a total of 30,000 mini earthquakes occurred as the molten rock forged a crack through the earth, several kilometres beneath the surface. By analysing these earthquakes, the team were able to understand more about the physical process that was happening under their feet. This knowledge helps to inform both early warning tools that can be used to anticipate a volcanic eruption, and scenario-planning around its potential consequences. Robert Green, a Seismology PhD student from St John’s College, University of Cambridge, was one of the Cambridge researchers responsible for assessing the tremors around Barðarbunga. “Most people think of a volcano as being a large mountain where molten rock comes straight up from under the ground and erupts directly from the summit, either explosively creating a huge ash cloud, or producing lava which flows down the sides,” he said. Earthquakes such as those measured by Green and his colleagues are caused by the molten flow cracking through rock in the Earth’s crust. As the rocks slide past one another, they cause the ground to shake. 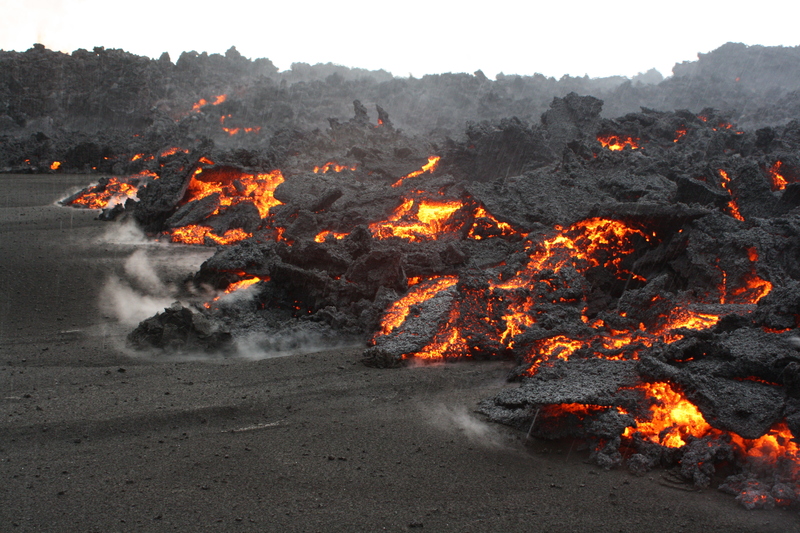 In August 2014, it was this seismic activity that indicated that one of these so-called “dyke intrusions” had developed from the Barðarbunga volcano. The scientific community was quick to respond, deploying researchers from 26 different institutions, including the Cambridge team. This group effectively chased the volcano, travelling in helicopters, snow scooters and offroad vehicles to install seismometers and track its subterranean progress. They also worked closely with civil and aviation authorities to keep them up to date about potential impact. Airlines feared a repeat of the 2010 Eyjafjallajökull eruption, when a plume of volcanic ash infamously led to the cancellation of 100,000 flights during the Easter holidays. 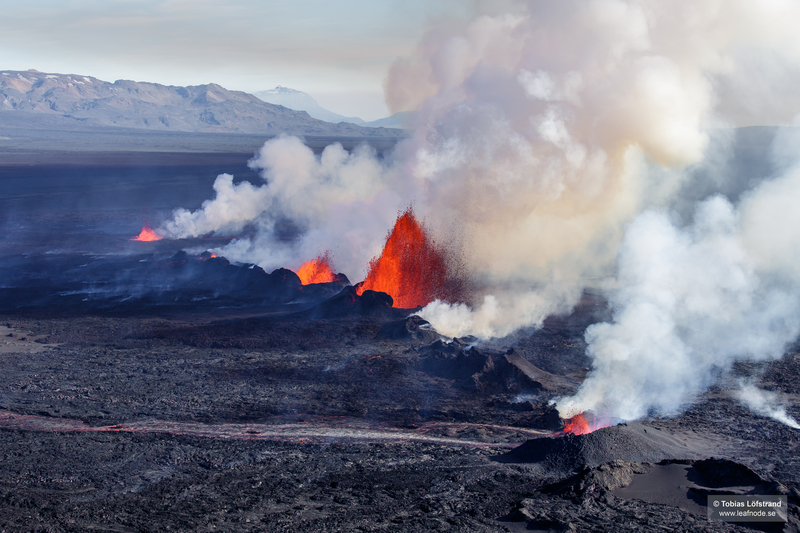 When the fissure eruption finally happened, it was at the Holuhraun lava field, the site of a 19th Century volcanic event north of Barðarbunga itself. Some of the Cambridge group’s seismometers had been positioned so close that they had to be hastily retrieved in the face of the advancing lava flow. 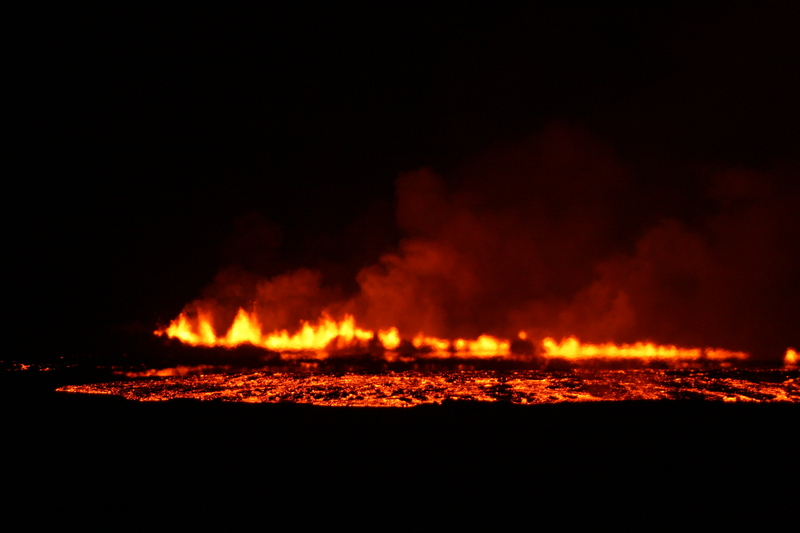 The eruption was on a huge scale, lasting from August 2014 until February 2015. During its early stages, about 500 tonnes of rock were flung out of the Earth every second at temperatures of about 1,300 degrees C. The thermal energy was calculated to be equivalent to one Hiroshima atomic bomb being detonated every two minutes for almost six months. 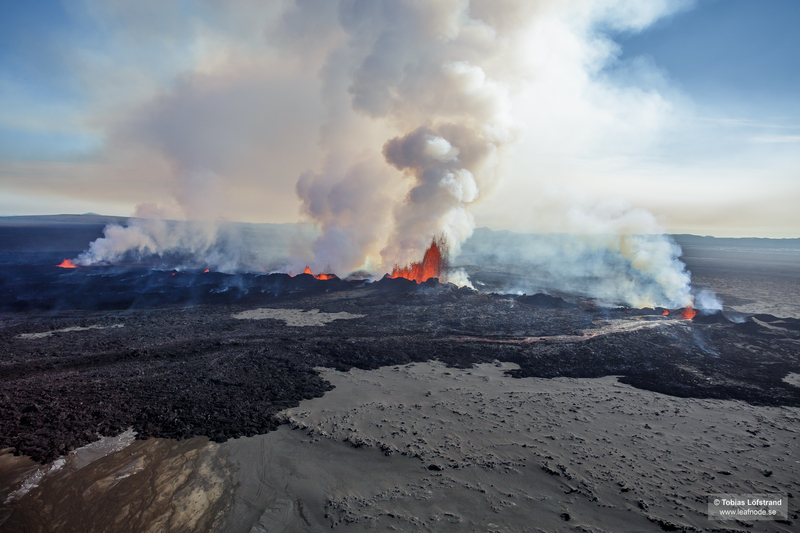 In the case of the 2014 eruption, scientists and government teams had to consider the possibility that lava might erupt beneath a local ice cap, causing an ash cloud which could disrupt flights, and a major flood. 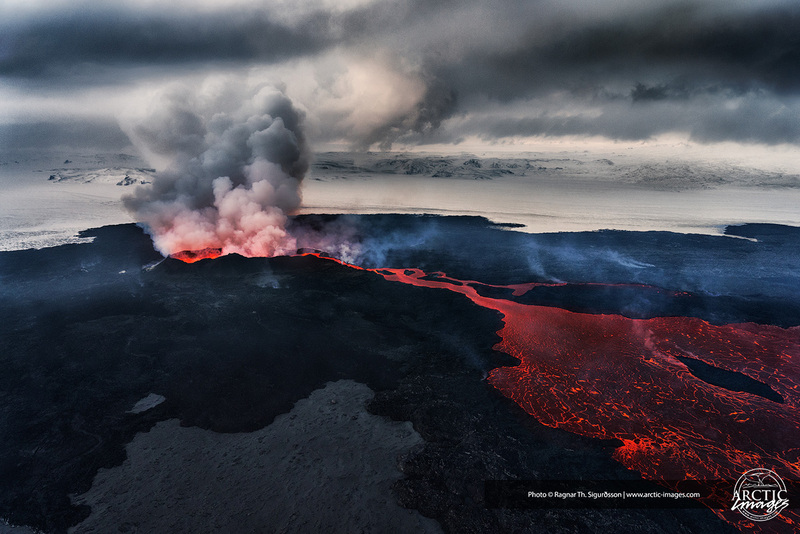 Even more frightening was the possibility was that it might continue moving until it met another reservoir of molten rock beneath the Askja volcano, triggering a major eruption that would have had devastating consequences for much of northern Iceland. The study also involved an assessment of the stress changes that occurred within the Earth’s crust as a result of the tremors. These findings could, among other things, help with the assessment of human activities that have a similar effect, not least the highly sensitive question of where and when it is safe to undertake “fracking” for shale gas. The group’s display at the Royal Society Summer Exhibition, which is aptly entitled “Explosive Earth”, will feature several hands-on activities enabling visitors to discover how researchers monitor the movement of molten rock under the ground, how they triangulate the point of origin from tremors to track the magma’s course, and how an earthquake itself is measured.